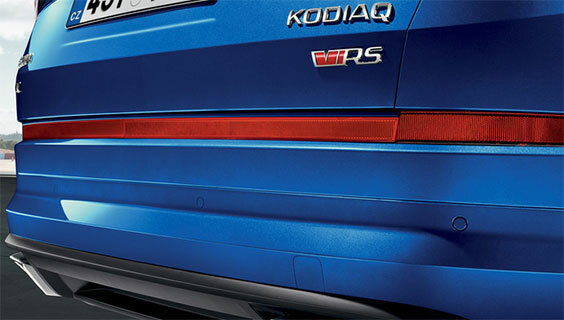 The fascia is dominated by the radiator grille, its slats and frame in a glossy black finish. It is embellished with the new RS logo, differing from previous versions because of its red “V”, which stands for “victory”. 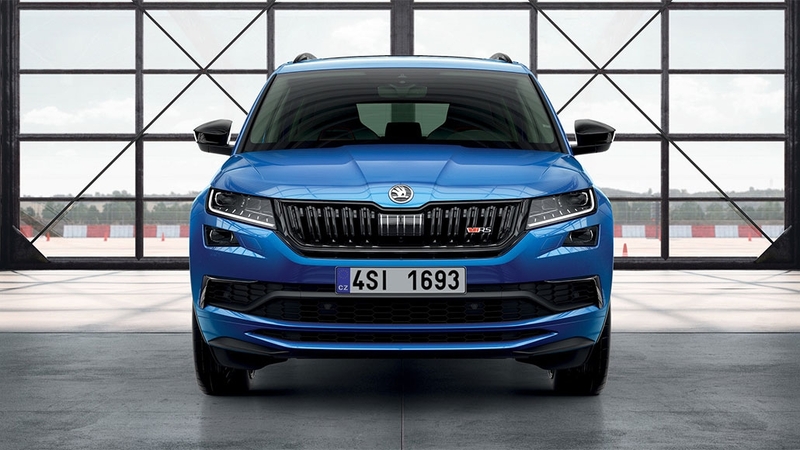 Standard-fit full LED headlamps with a distinctive strip for daytime running lights lend the Kodiaq RS its characteristic look. 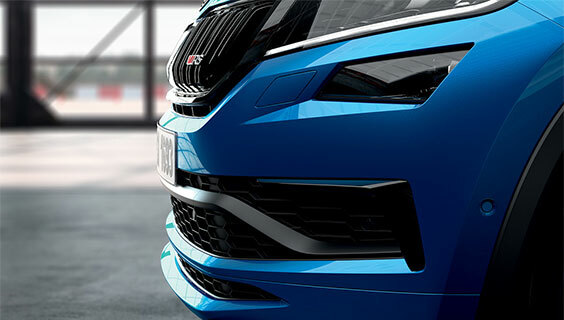 The body-colour front bumper, specific to the Kodiaq RS, rounds off the robust impression of the fascia. 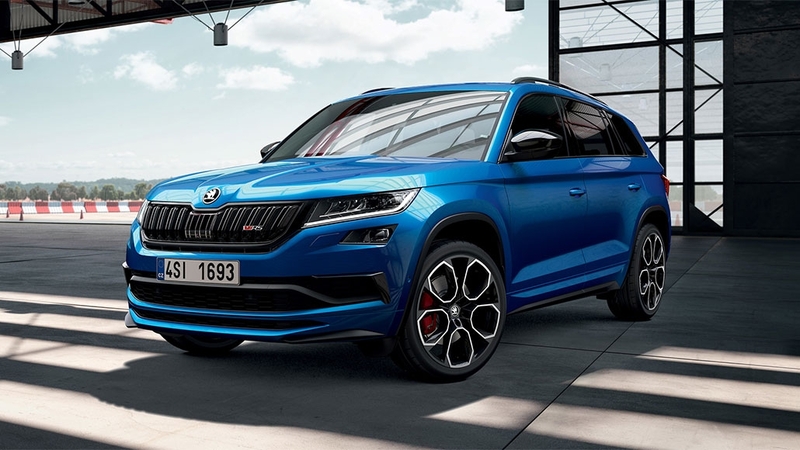 The Kodiaq RS features standard-fit anthracite 20” Xtreme alloy wheels, capping off the car’s dynamic design. 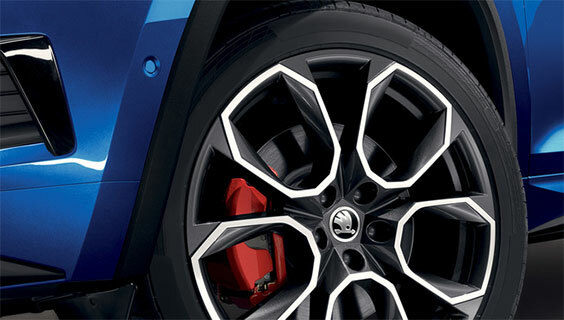 The sporty look of the wheels is complemented by performance tyres to ensure excellent handling. The red brake callipers are a typical hallmark of RS models. Much like war paint, the black features on the Kodiaq RS show that it is ready for anything. Whatever the body colour, it is complemented by glossy black details: side-window trim, longitudinal roof rails, and wing mirror covers. 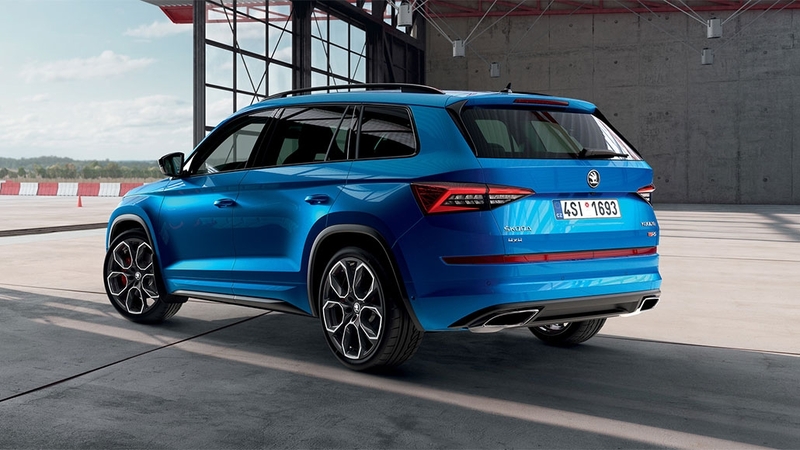 The rear section with LED tail lights immediately defines the sporty characteristics of the ŠKODA Kodiaq RS. A powerful black diffuser and two wide, trapezoidal chrome-plated tailpipes dominate the bumper. 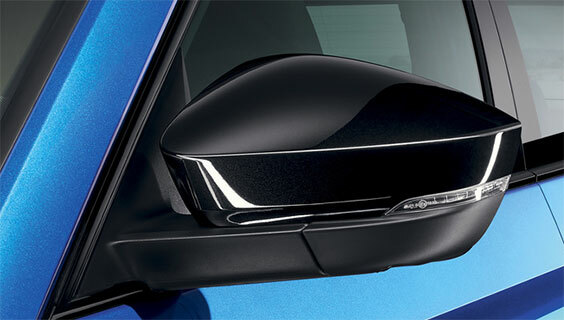 Other bespoke details are a retroreflector strip, making the car easy to spot in the dark, and the RS logo. 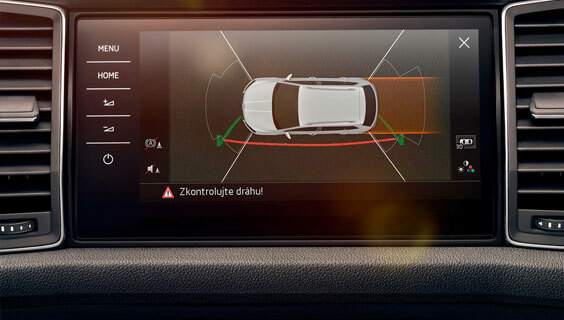 A perfect overview is provided by the Virtual Cockpit, featuring a handsome 10.25” digital display that offers a choice of five display layouts, including a Sport display. 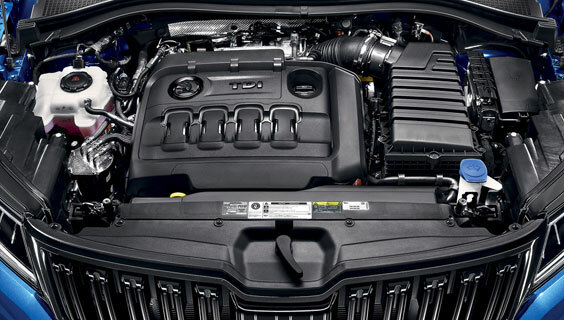 One of the RS’s specialities is its Carbon look, which changes the font and layout background. 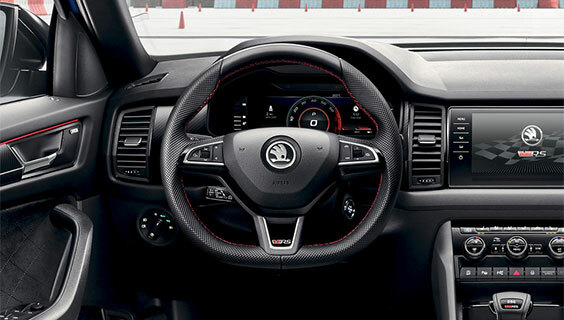 The sporty 3-spoke multifunction steering wheel with perforated leather and RS logo is a standard feature. 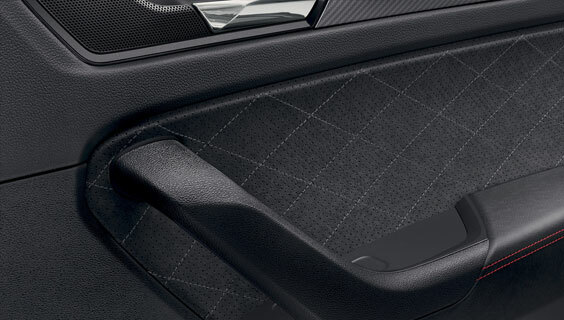 In order to complete the driving experience in a sports car, you need proper sports seats. 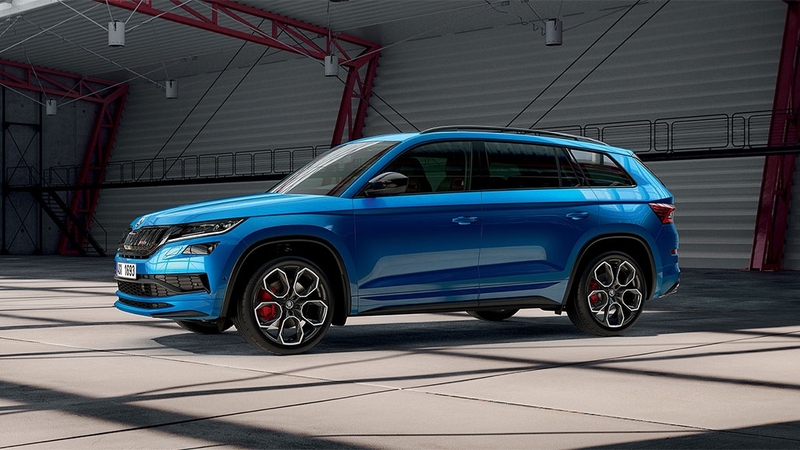 The KODIAQ RS has plenty to be proud of here: two robust Alcantara seats with distinctive lateral support will hug you firmly. Contrasting red stitching and the RS logo match the rest of the interior. 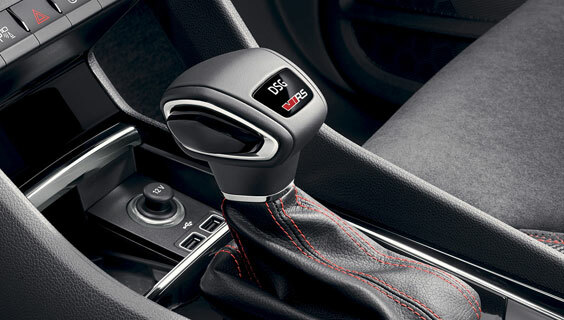 Besides the steering wheel, the gearshift knob is also upholstered in leather. 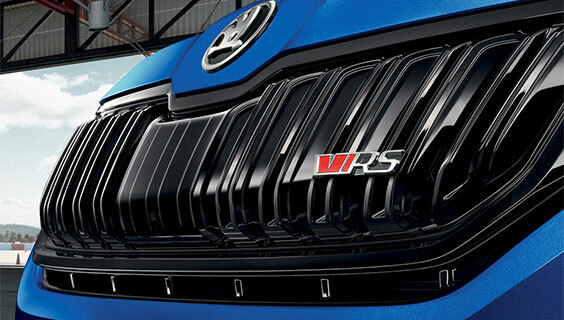 Unique features are the high-contrast red stitching and the model’s specific RS logo. When you sit down, fine-quality materials will surround you from all sides. The Alcantara in the door panels is complemented by a red-stitched armrest and ambient lighting, offering a choice of 10 colours. 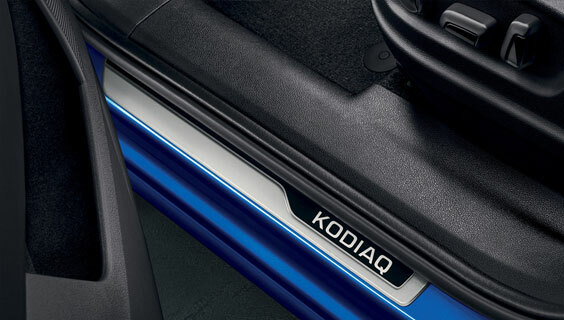 With their stainless steel embossing and Kodiaq inscription, the front door sill plates further refine the interior of the Kodiaq RS and protect the door sills as you get in. 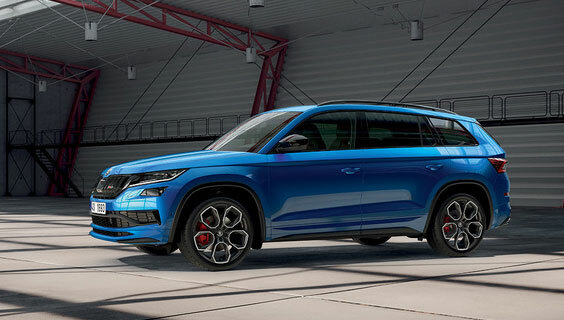 The Kodiaq RS features the most powerful diesel engine in the ŠKODA range: the twin-turbocharged 2.0 TDI/176 kW with a maximum torque of 500 Nm. 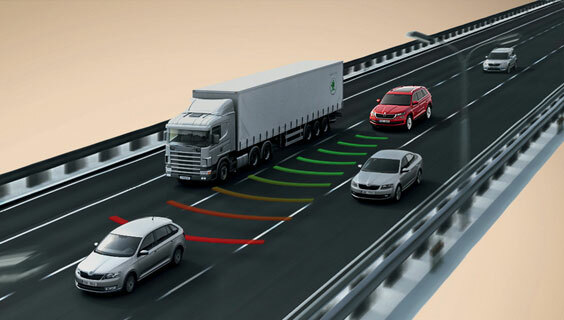 The advantages of a twin-turbo setup are the strong boost from the middle speed range and the instantaneous accelerator response. 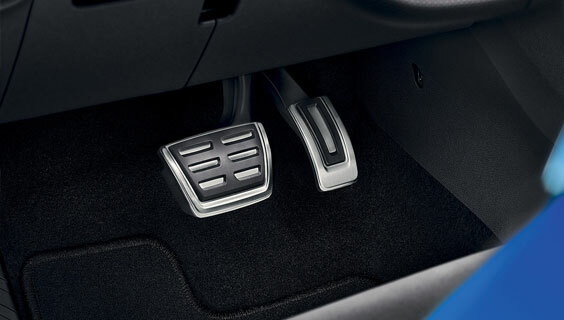 And courtesy of the car’s Dynamic Sound Boost, you’ll enjoy an even earthier engine sound. 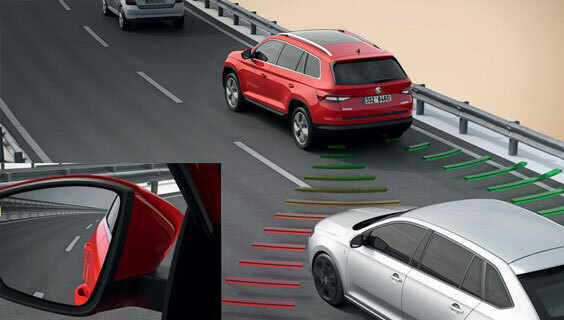 The car can be fitted with progressive steering, which provides the Kodiaq RS with better handling and agility in curves. 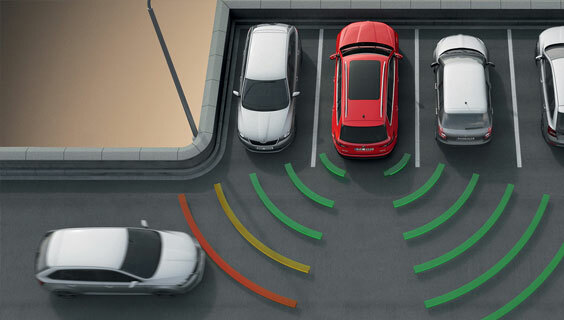 The progressive steering changes the ratio depending on how far the wheel is turned so that you don’t have to keep shuffling your hands round the steering wheel. 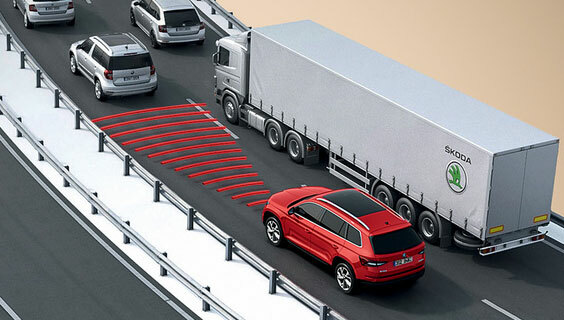 This makes it easier to manoeuvre on twisty roads, in city traffic or when parking. Want to buy a new caravan, but reversing it is the stuff of nightmares? 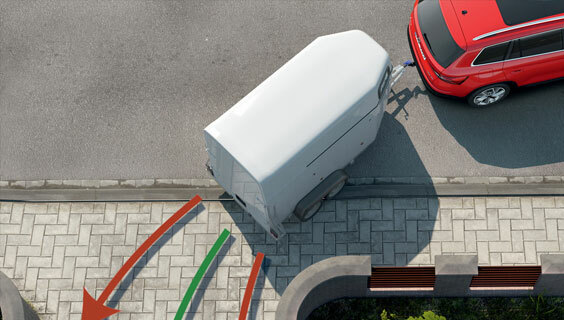 The new optional Trailer Assist takes control when you reverse slowly with a caravan. All you have to do is decide where to reverse to, when to start and when to stop. A cinch.